University Press of Florida, 9780813056173, 264pp. July 16, 1969. Nearly one million spectators flock to Cape Canaveral to witness the largest rocket ever built send three Americans to the Moon. Four days later, two step onto the lunar surface. The extraordinary achievement is celebrated around the world. Images capturing these incredible moments fill the pages of Picturing Apollo 11, an unprecedented photographic history of the space mission that defined an era. Through a wealth of unpublished and recently discovered images, this book presents new and rarely seen views of the people, places, and events involved in planning, accomplishing, and commemorating the first Moon landing. Starting with the extensive preparations for the mission, these photographs show astronauts Neil Armstrong, Buzz Aldrin, and Michael Collins training for the flight and their spacecraft and stages of the massive Saturn V rocket arriving at the Kennedy Space Center for assembly. They display the media frenzy over the unfolding story and the "Moon fever" that gripped the nation. In addition to both ubiquitous and lesser-known images of the moonwalk itself, the authors present life back on Earth while men explored the lunar surface, as well as the anniversary festivities that paid homage to them in the following decades. Accompanying text details each scene, revealing the enormous scale and scope of the activities that went into planning and executing one of humankind's most historic moments. Presented chronologically, each picture evokes the electric atmosphere of the time. 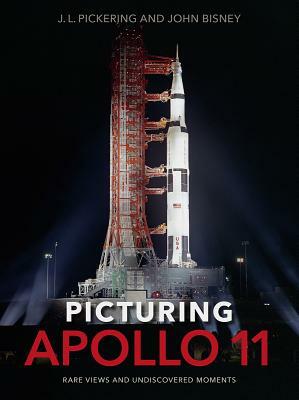 No other book has showcased as many never-before-seen photos connected with Apollo 11 or as many images covering the activities from the months before to the years after the mission. Most of the hundreds of photographs were selected from NASA archives and J. L. Pickering's collection, the world's largest private collection of U.S. human space flight images.